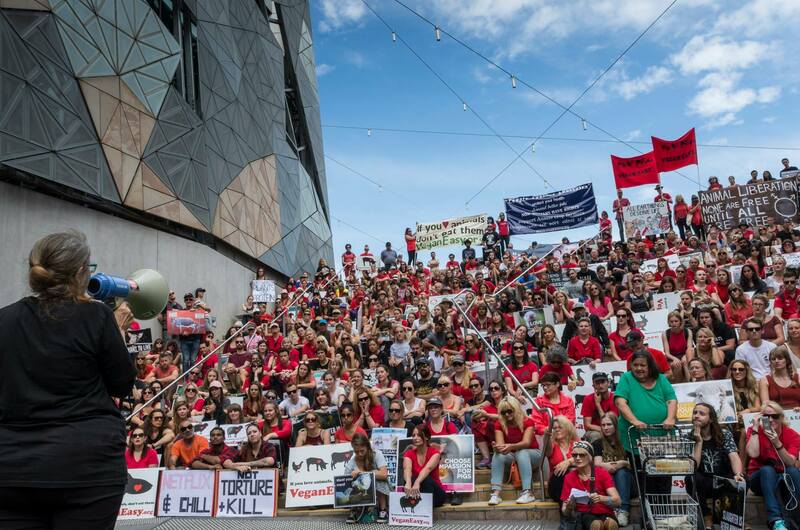 Join us as we march along the streets of Melbourne on Saturday 6 April. Let’s make this the biggest march yet, and send a strong and clear message to our community, the industries and our governments. In order to help make this year's event even more accessible, there will be an "accessible zone". If you have any visual, auditory, mobility or other impairments please feel free to let us know how we can best cater for you. A slaughterhouse is a killing business that exists for the sole purpose of killing animals for economic gain. They profit from almost every part of the animal including their bones, skins, offal, and blood. If animals were not bred into existence there would be no slaughterhouses. Imagine what lies beyond slaughterhouses. No animals being separated from their crying mothers, no overloaded trucks carrying dying animals, no longer the sickening smells and the terrifying screams being heard from the kill floor. It’s time to create a world without slaughterhouses. "Never doubt that a small group of thoughtful, committed citizens can change the world. Indeed, it's the only thing that ever has". 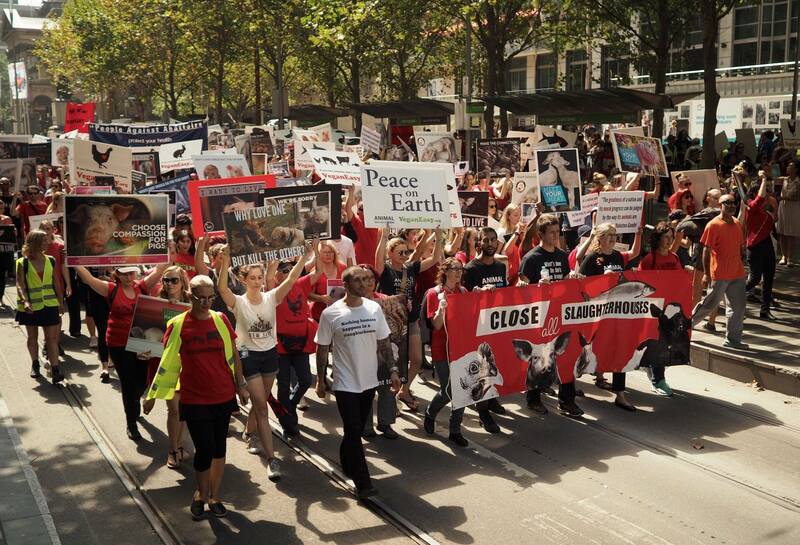 The march is organized by March to Close All Slaughterhouses Australia.